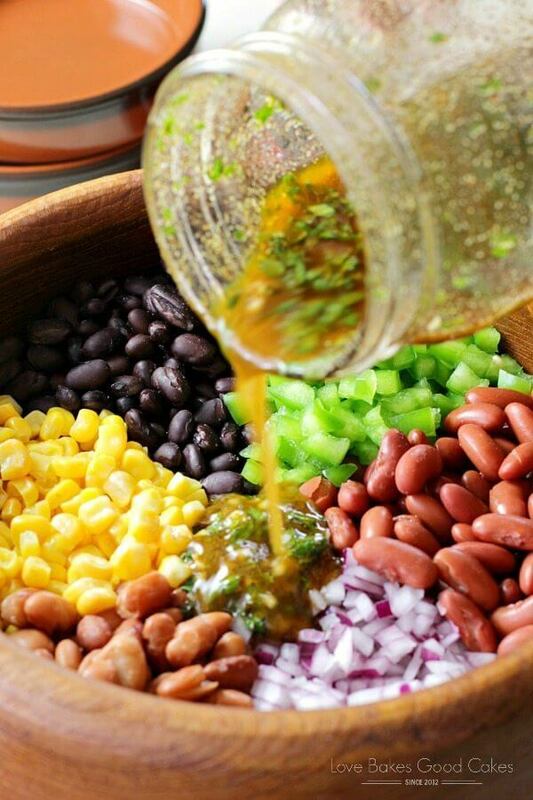 This Mexican Bean Salad is full of protein-rich beans, colorful veggies, and a flavorful Mexican dressing! You’ll love how versatile and delicious this dish is! One thing you will always find in my shopping cart is some sort of Bush Brothers beans. We use them in everything from salads, soups, casseroles, dips … and one of these days, I’m going to be brave enough to try them in a dessert like brownies!! Have you ever tried beans in a dessert? 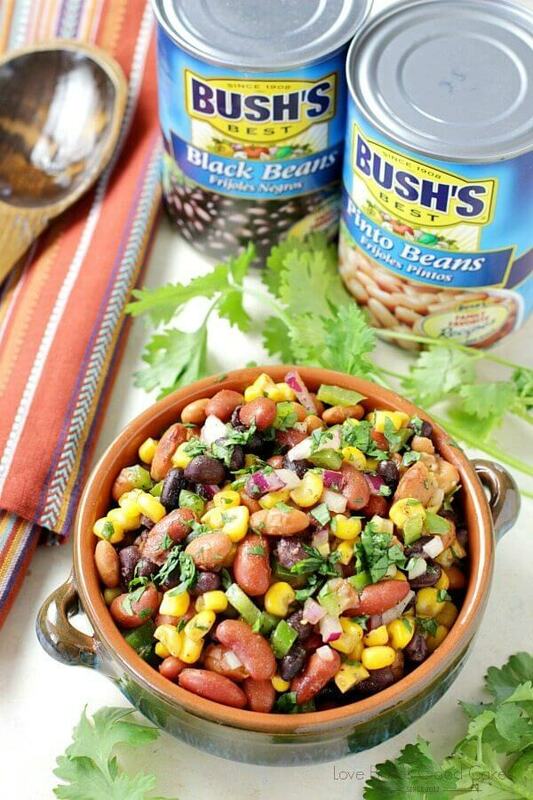 Bush’s Beans are a convenient pantry staple. I always have an assortment of Bush’s Beans in my pantry. They are great to keep on hand for last-minute meal needs. One of my favorite recipes is Cuban Black Beans and Rice. (That reminds me that I need to update those pictures – Eeek!) I always have all of the ingredients on hand and it’s so quick and easy to make on a hectic night using canned black beans. You can even stretch your dollar or go meatless by using beans for a filling, inexpensive meal solution. I often add a can of beans to our taco filling to make our grocery budget stretch further (meat is expensive!). I also love to use them in casseroles and soups to make them more filling. In addition to being inexpensive, beans are healthy, tasty, quick, and easy! So …. 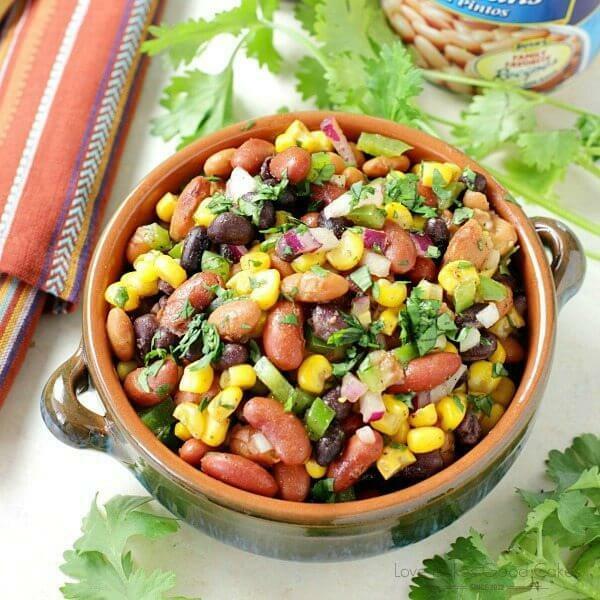 this Mexican Bean Salad! You guys, the thing I love about this Mexican Bean Salad is that it so versatile. Not only can you add things like tomatoes, black olives, or jalapenos …. but you can just as easily use things you already have on hand. Use a red pepper instead of green, use garbanzo beans instead of pinto beans … you can’t go wrong with this salad. 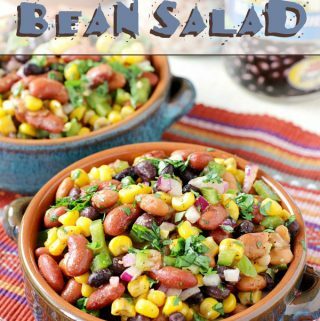 Another thing that I love about this Mexican Bean Salad is that you can use it as a side dish – as well as lunch, main dish, or a dip!! I’ve even eaten it as a stand-alone dish for lunch so many times! My kiddos love putting any leftovers into tortillas with cheese for a quick, filling burrito or using those scoop-type tortilla chips and this salad as a dip. You have so many options! 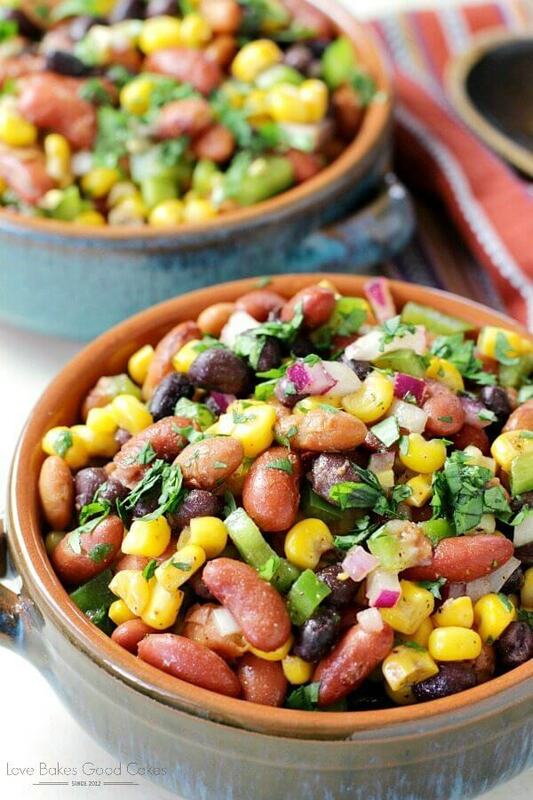 This Mexican Bean Salad makes a great addition to potlucks (it’ll disappear fast!) 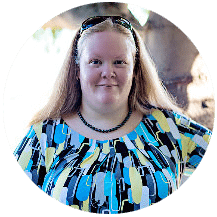 – be sure to bring the recipe because people are sure to ask you for it! 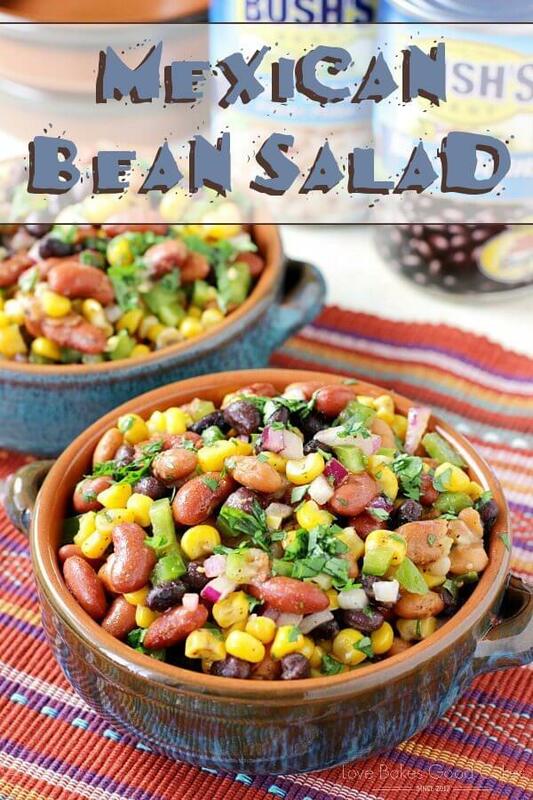 I’ve even had people who claim they “don’t like beans” like this tasty salad! 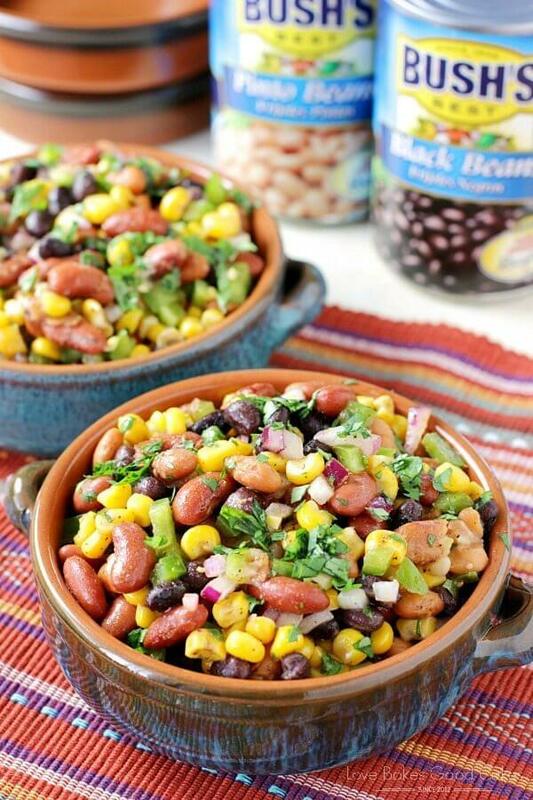 This Mexican Bean Salad is full of protein-rich beans, colorful veggies, and a flavorful Mexican dressing! 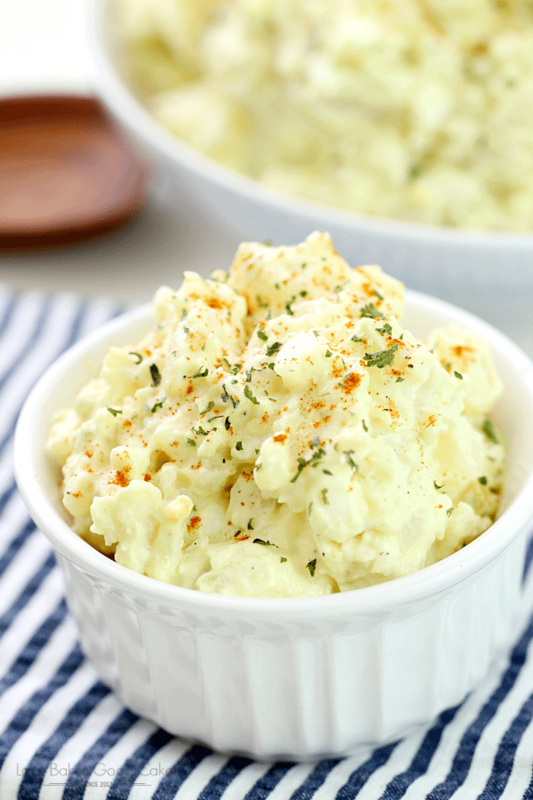 You'll love how versatile and delicious this dish is! 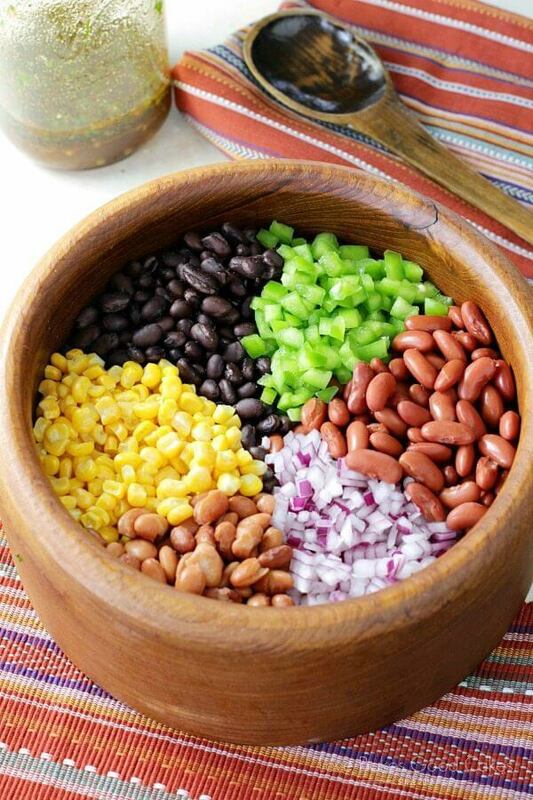 In a large bowl, combine all of the beans, green pepper, frozen corn, and red onion. In a mason jar, combine all of the dressing ingredients. Shake until well combined. Pour the dressing over the bean mixture. I am the oldest of 6 kids, so I have been on my fair share of 2 cart shopping trips! This salad looks delicious! 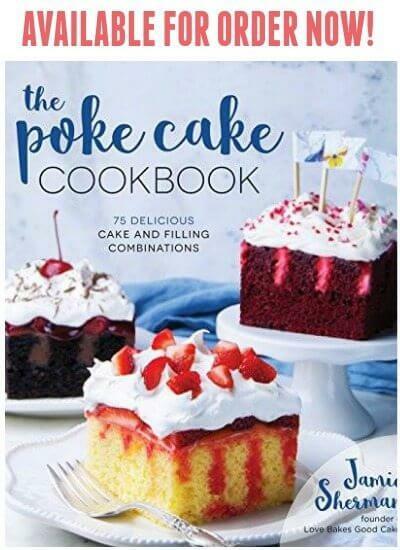 This recipe looks delish! I'm not so impressed with The Recipes Generator though. Will have to cut and paste the recipe into a Word doc. I am LOVING these flavors and the variety of beans! YUM! That Monday morning shopping trip sounds daunting! I have two teenage boys and thought I had to buy a lot of food. haha I'm a huge fan of Bush's beans and always have them on hand to toss into my meals. 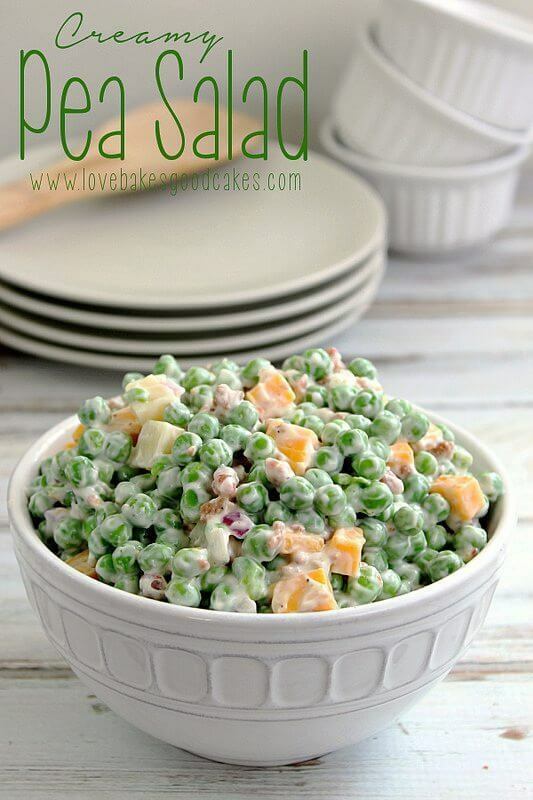 This salad is something we would love! Jamie, this is my type of salad – full of flavors and textures! Oh my GOSH, I'm glad I don't have to shop like that! I love the variety of beans you used in your salad, Jamie. This looks delicious! We love making salads like this at home! It's so good! 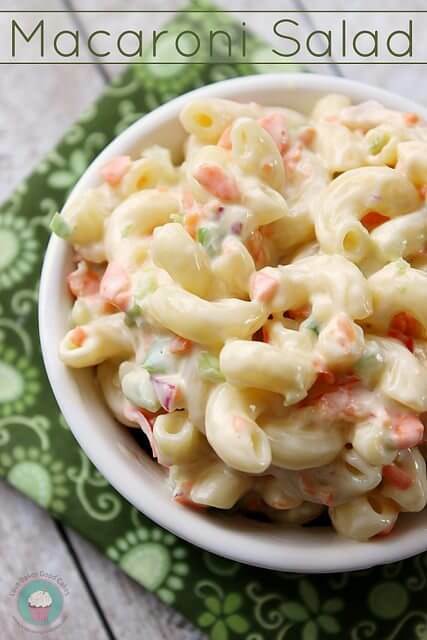 This salad looks wonderful! So many awesome flavors!